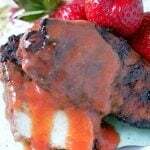 Strawberry BBQ Sauce takes just a few minutes to prepare and will WOW your guests with its sweet and tangy flavor. Strawberries were on sale at my grocery this week so I bought a bunch of them because strawberries are my kids’ favorite fruit. I bought so many of them however that I needed to find another use for them besides just eating them fresh. Using up fresh strawberries before they rotted is how I came up with the idea to turn some of those strawberries into a BBQ sauce. 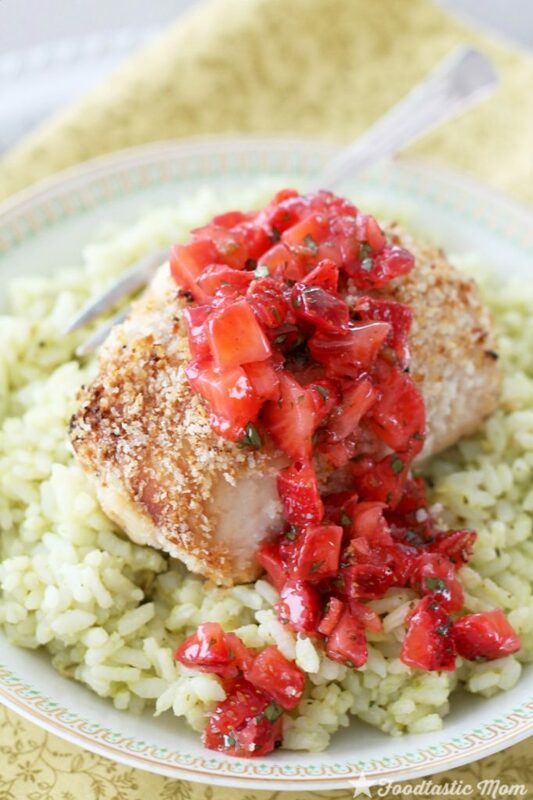 We eat a lot of grilled chicken in the summer, and I’m always looking for new ways to flavor our chicken. 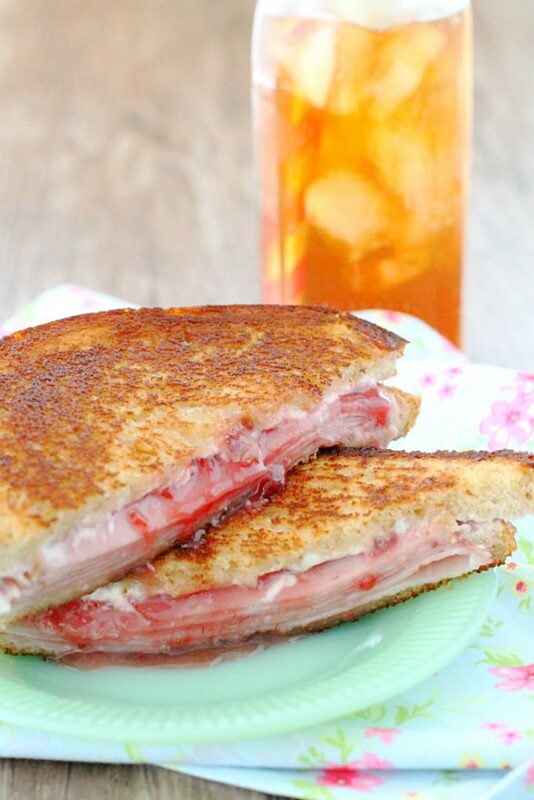 After a quick Google search I found this recipe and modified it with what I happened to have already in the house. 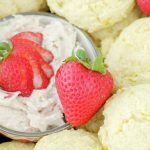 I was so pleasantly surprised with the flavor and the speed with which I was able to make it! All you have to do is throw a few ingredients in the food processor to blend and it’s ready to go. 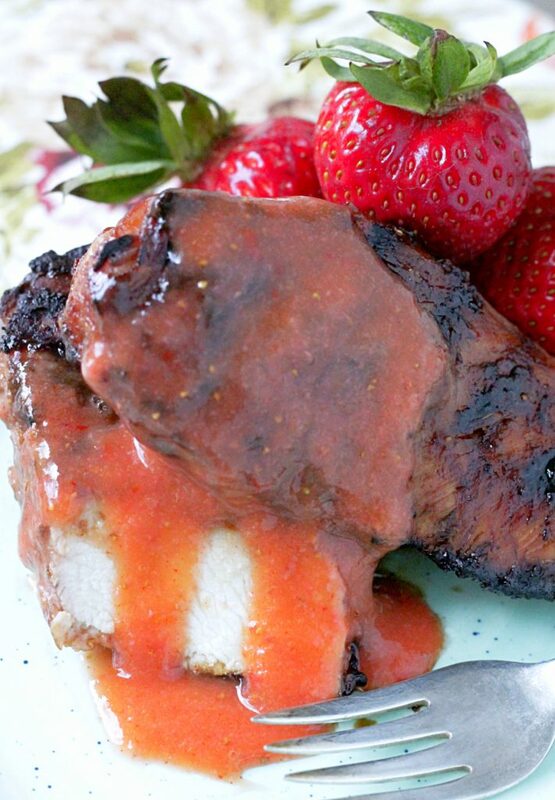 This strawberry BBQ sauce is for sure going in our regular dinner rotation. This looks awesome. I live in Kansas City. We like to think we are the kings of BBQ sauce. I haven’t seen this yet and need to try it! I hope you do. We really liked it! There’s a little chicken strip place in Olathe, on Santa Fe near Ridgeview (used to be a Wendy’s) and they have a yummy strawberry BBQ. 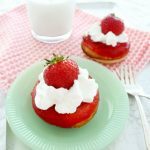 What an interesting way of using strawberries! 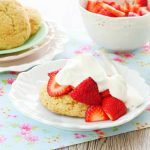 I love using fruit with meat so will give this a go! 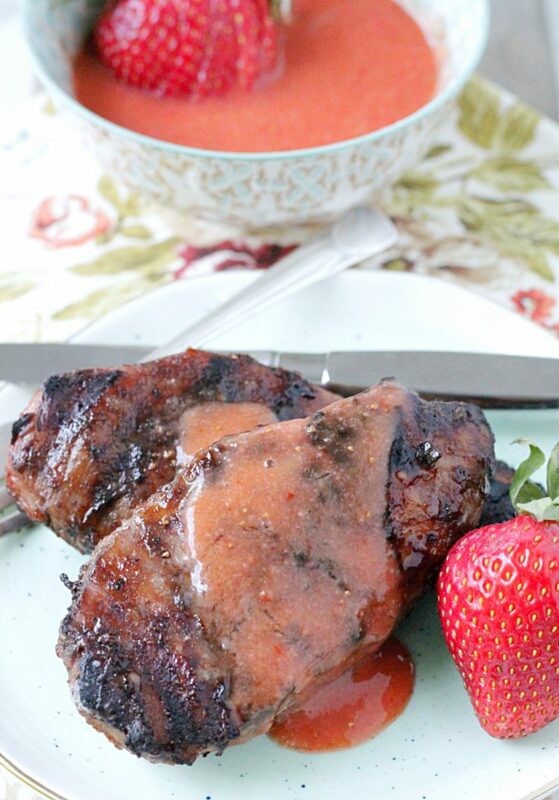 I would never have thought to add strawberry to a bbq sauce, must try it out! Thanks Patty I hope you like it! 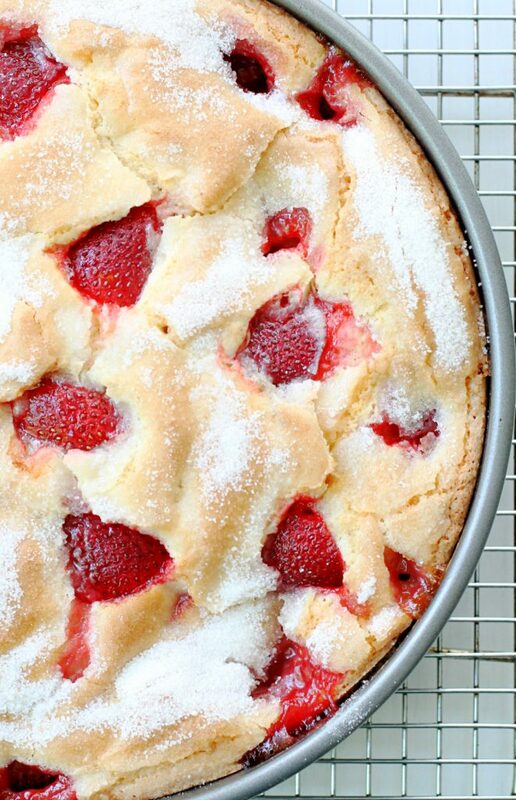 You have me at strawberries! I love them! This sounds delicious! I’m so interested to try this. 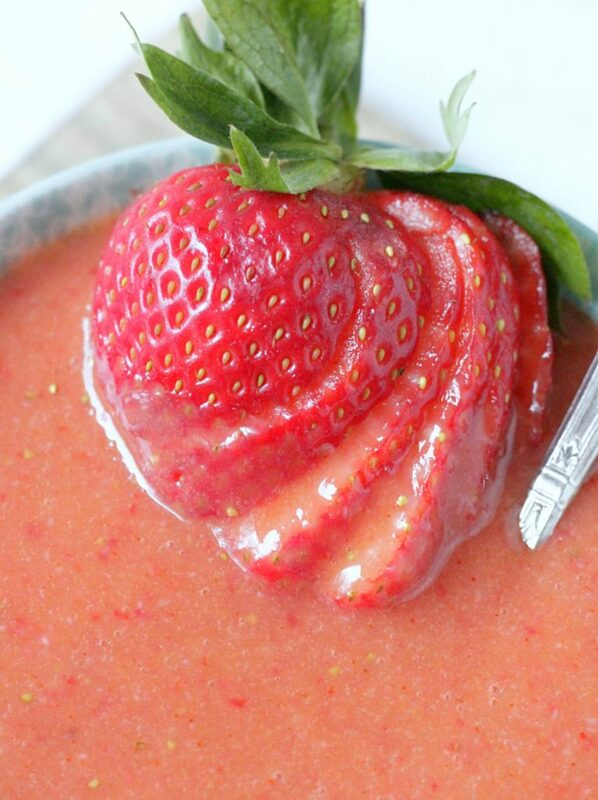 I’ve never thought of using strawberries as a sauce for savoury meals.